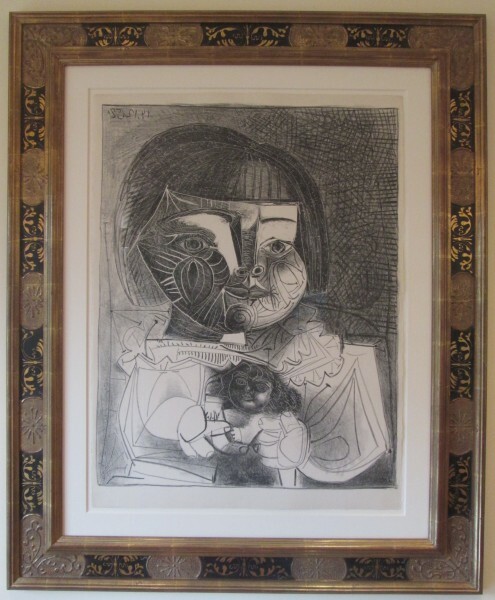 Picasso’s exuberance for his second daughter is no better captured than in this wonderful portrait of Paloma playing with her doll, by far the finest portrait of Paloma in all of Picasso’s printed works and certainly one of Picasso’s very best prints. 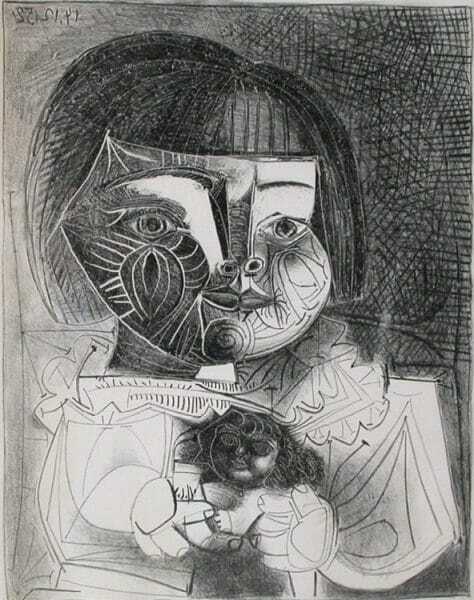 Paloma, with her chubby cheeks rendered in a beautiful, complex, inimitable, iconic Picasso style–a latter-day Cubist riff, really–is clutching a doll in her stubby fingers. This portrait of Paloma’s face is nothing short of a miracle, complemented by the remainder of the composition, most memorably her frilly collar and puffy sleeves. Her doll’s face is fantastic, too, especially in that its Baroque yet Picassian style is in stark contrast to Paloma’s more Cubist depiction. Then there are Paloma’s hands. 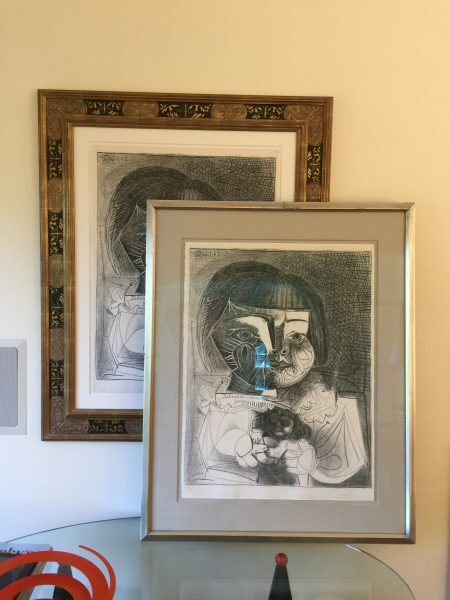 Picasso, known of course for his boundlessly imaginative and endlessly varied hands, here invents yet another iteration of this lifelong creative focus. In Japanese art, unlike the Western canon, the face is accorded no more emphasis, that is, no more definition or detail, than the rest of the body. Though Picasso is and should be known for his depictions of the entire body, clearly one thinks of the face as his primary creative focus, and especially the eyes. Volumes could be written just on his eyes. But the hands were next in line. 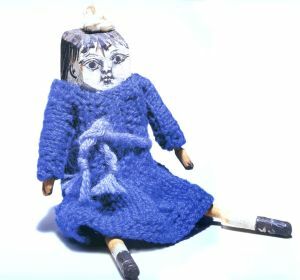 The problem is that all of the seven known wooden dolls are dated 1953. Well, they could have been misdated, or he could have presaged their creation in the lithographs, which would have been typical of this creative genius.